Game Developers Conference (GDC) was hosted in San Francisco, CA on March 18-22, 2019. USC Games was at the Moscone Center to get a first-hand glimpse into the future of games and what gamers will be obsessively playing over the next year. On Monday and Tuesday, summits and tutorials were held, focusing on specific topics that included AI, Community Management, and Game Narrative. From Wednesday to Friday, the conference and the Expo drew more attention. Conference sessions touched on a broader range of game development disciplines, While the Expo featured 550+ companies including non-gaming technology companies, game development products and service providers. Although GDC’s audience is mainly developers and people working in the industry, they still brought lots of exciting news for everyday gamers like us. Inarguably, the biggest news out of this year’s GDC was the official announcement of Google Stadia, a cloud gaming platform. 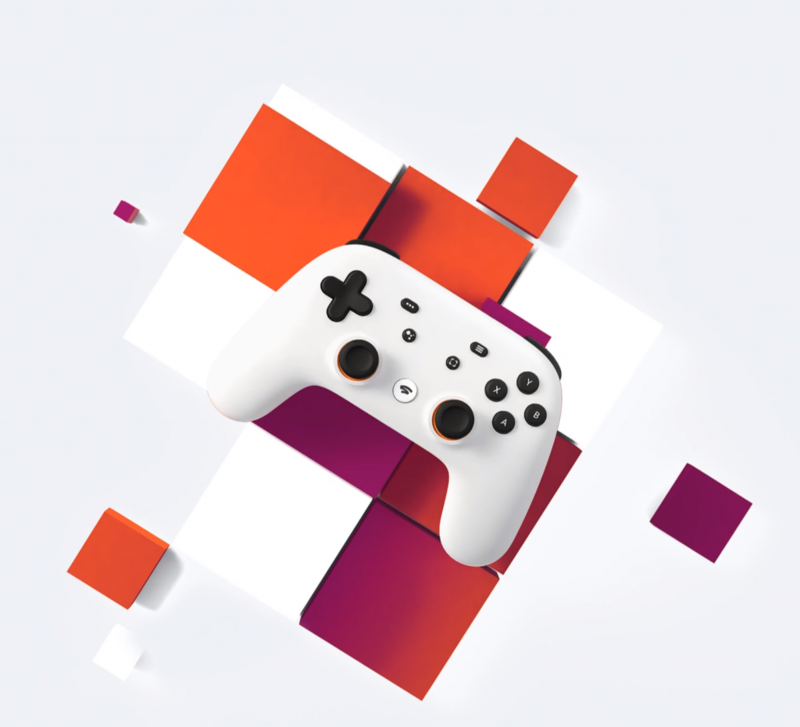 Google aims for Stadia to be a seamless experience for players and streamers, with viewers able to move from watching influencers playing on YouTube and gaming by by just clicking a “Play Now” button on the Stadia controller. Stadia will be supported on PC, TV, tablets, phones and even Chrome browsers. This flexibility of play is due to Stadia not using local hardware capacity, instead streaming from a network of Google data centers. 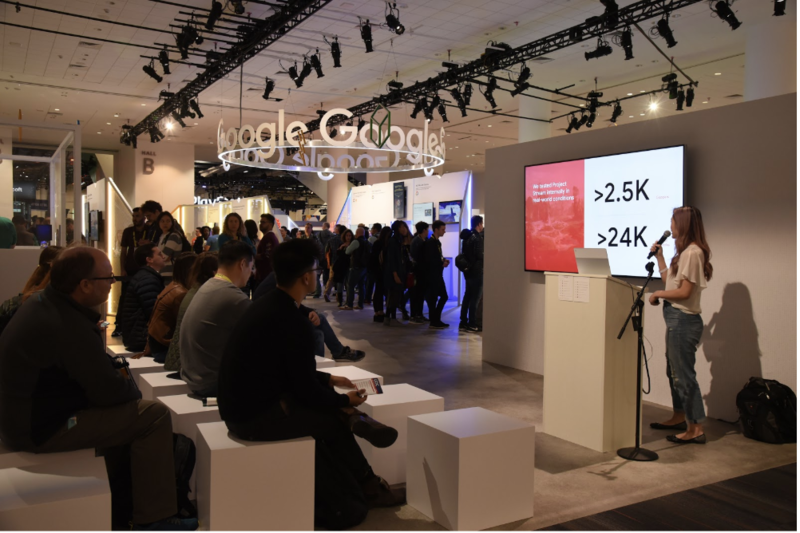 At Google’s booth at GDC, attendees could try the early hands-on tests with titles like Assassin’s Creed Odyssey and Doom. People said the experience was nearly comparable to playing on a console or PC. While the future sounds pretty promising, there were no hands-on final design controllers and there is no word yet on an exact release date or pricing. Along with the hundreds of sessions, attendees spent their time discovering the latest game development tools and services in the GDC Expo. The Expo featured many large studios showing their games, services and products. In addition to Stadia , Google showcased many tools they provide for game developers as well as two very cool games: one game, an AR Pac-man powered by Google maps, allowed players to navigate a virtual maze in a real-time space by using their phones. The other also used AR technology. Players could use the cameras on phones to discover the answer to puzzles in the room. 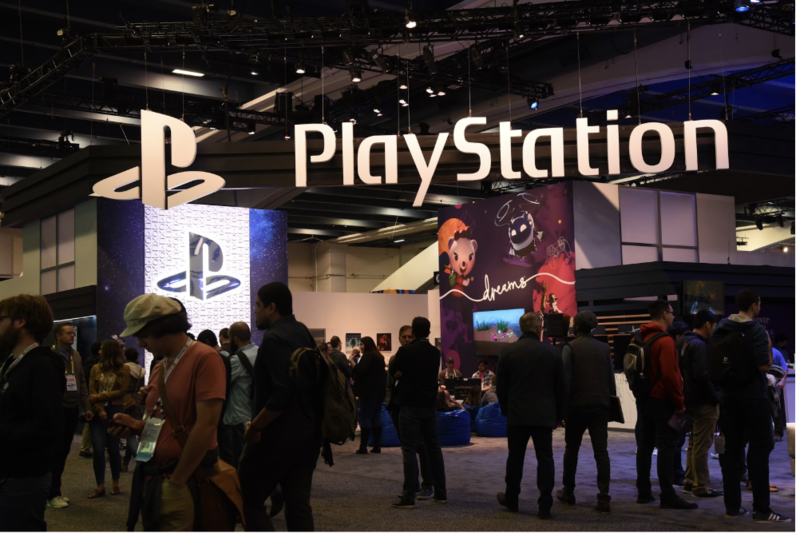 Sony was another big studio that drew a lot attention at GDC, with a number of exclusive games for PS4. One of them was Dreams, which was created by Media Molecule and was featured in the GDC opening ceremony. GDC is not only for video or computer games, but there was space for board games as well. Amazon demonstrated a system they developed for board games. Traditionally, when a board games is sold, there are no more adjustments that can be made. However, Amazon would like to innovate with static board games to make them more fun and dynamically adjustable post-purchase. 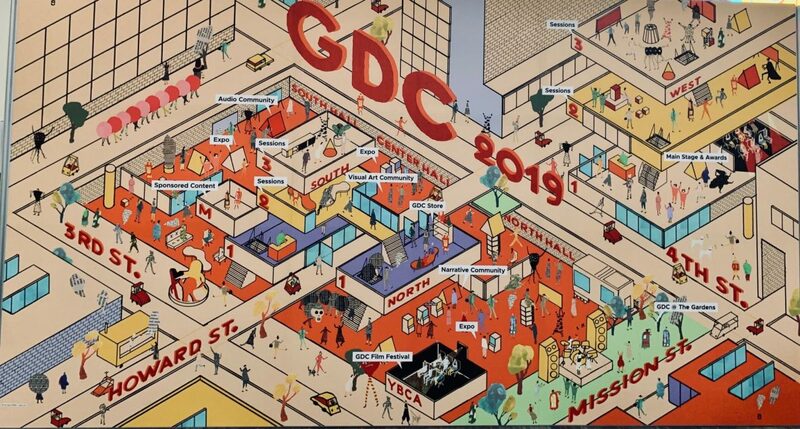 GDC was a celebration for game developers and game players alike, and based on the exhibition, we’re looking forward to the new wave of fun coming in 2019/2020!